The Gatan OnPoint is a backscattered electron detector for SEM (Scanning Electron Microscopes). Study non-conductive samples including polymers, plastics and biological materials. Optimised for low kV, for studying uncoated biological samples, low atomic number (Z) elements and large 3D datasets. Capture large, 3D datasets quickly: Up to 6 times faster for large field of view images and 3D. Differentiate low-Z elements: Highest signal-to-noise ratio (SNR) available, to distinguish between elements with similar atomic numbers. Highest BSE collection efficiency: Capture electrons that other detectors miss, with minimal noise. Optimum performance within minutes: Maintain the best performance without the need for service visits, with user-exchangeable sensors. 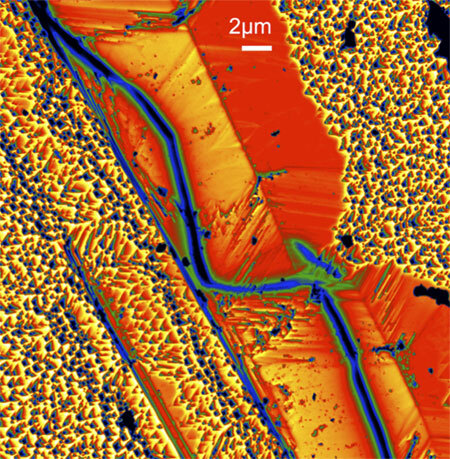 EBIC image using thermal representation of a defect in Si photovoltaic. 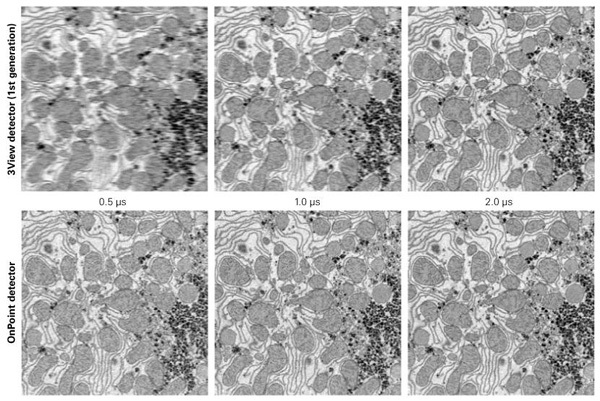 Four-Fold Faster Imaging: Compare image quality from the previous generation 3View (top) with the OnPoint (bottom) at various dwell times. The OnPoint detector takes equal or better quality images with shorter dwell times. 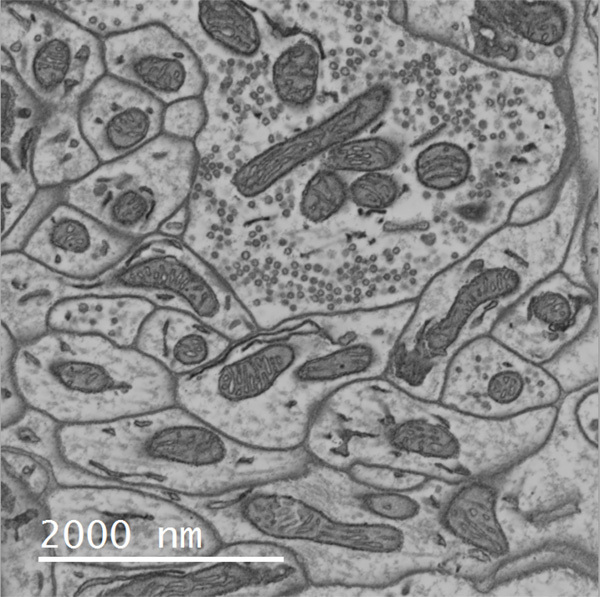 Low kV Imaging: Preserve and discriminate fine features, such as synaptic vesicles. Courtesy of T. Deerinck NCMIR/UCSD.